Children from the Seasons of Peace DrawBridge group in the Canal neighborhood of San Rafael made beautifully heartfelt paintings for me to carry back to my children in Kenya. 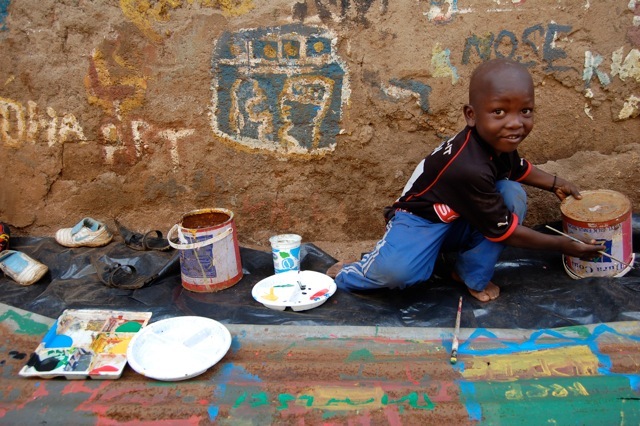 The children from Kibera slum Kids4Peace group loved the paintings and they are making art to send to the San Rafael children. Million thanks to Susan Sharpe (DrawBridge facilitator) and her amazing and long term volunteers…Kathleen and Lyla. They are pictured below.